HSSU collects a variety of information from users that is voluntary. For example, when a user submits an HSSU form online, the information collected is owned and maintained by HSSU; it is never made available to third-party vendors for the purpose of solicitation. HSSU also collects unique service usage data from client devices, which includes device IP addresses, information about web pages that users visit, and device and browser technology being used. This information is anonymous and used for analyzing the quality of electronic information services we provide. In what ways do we use information we collect? Information, whether collected anonymously or voluntarily is analyzed to provide user with the best service and convenience that HSSU can offer. HSSU does the vast majority of data collection and management in-house and utilizes third-party services for collection and analysis only when such services are deemed essential to address a known issue, concern, or institutional objective that improves services HSSU offers constituents. We do not exchange private data for commercial purposes without first obtaining the permission of our users. Anonymous information may be shared with third-party vendors to improve a particular service. For example, HSSU uses Google Analytics on selected sites to measure activity and engagement from the community of Internet users. •	to protect the rights of others. Any user who does not wish to provide voluntary information via electronic forms may contact the HSSU department or office providing the form and request an alternate means of submitting their information. For users who do not wish to submit anonymous data (e.g. IP addresses), we encourage those individuals to select an alternate method of ensuring their privacy, such as using Virtual Private Networks, off-campus public computers, or device and browser technology designed to improve privacy. HSSU does not recommend or guarantee the quality of any technology selected by an end user to maintain anonymity and privacy. HSSU electronic information systems employ various methods to improve and track user activity. Generally, this involves storing a temporary identifier on the user’s electronic device, including client and session variables, cookies, and URL variables. These anonymous but unique identifiers are often written to a database file and used for trend analysis of functionality and usability. Again, users are encouraged to select technology that provides them with the preferred level of anonymity they wish to achieve. HSSU has implemented reasonable security measures to help protect against information loss and misuse of information we maintain. In addition, HSSU continues to expand its security strategy as new threats and countermeasures arise. 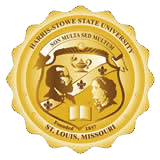 HSSU does not discuss or share details its overall security strategy with outside entities that do not have a prior security relationship with the institution. The effective date of this policy is May 1, 2018.